Amputees experiencing painful phantom limb sensations may be able to find some relief in a novel therapeutic approach incorporating visual and tactile sensory technologies. In recent paper published in the Journal of Neurology, Neurosurgery, & Psychiatry, a team of European researchers described a virtual reality experience powered by a headset and touch-enabled prosthetics that could help trick the brain into recognizing an amputee’s false arm as an extension of their body. "The brain regularly uses its senses to evaluate what belongs to the body and what is external to the body. We showed exactly how vision and touch can be combined to trick the amputee's brain into feeling what it sees, inducing embodiment of the prosthetic hand with an additional effect that the phantom limb grows into the prosthetic one," Giulio Rognini, of Ecole Polytechnique Fédérale de Lausanne's Laboratory of Cognitive Neuroprosthetics, said in a statement. In the experiment, Rognini and colleagues enrolled two hand amputees who perceived phantom hands smaller than their previous appendage — a phenomenon associated with greater pain that is referred to as “telescoping” due to a perception that the limb has retracted into the body. The team paired a previously developed prosthetic sensor with a nervous system interface alongside a VR headset experience showing a full-sized limb. Of note, the paired experience would show the users a glowing light on their fingertip that was synchronize with the artificial touch sensations being delivered via the prosthetic, thereby reinforcing the relationship between visual and tactile sensations for the brain. After undergoing this multisensory visuo-tactile neural stimulation therapy, both of the patients said that they experienced higher prosthesis embodiment — or, they felt more strongly that the prosthetic hand was an extension of their own body. In addition, they reported that their perception of a phantom limb was less distorted, and actually extended and remained that way for up to 10 minutes after the experience. "The setup is portable and could one day be turned into a therapy to help patients embody their prosthetic limb permanently,” Rognini said. While this combination of visual and tactile technologies for amputees is novel, a number of studies are using VR to explore the relationship between the brain and body. For instance, a 30-participant study exploring the feasibility of virtual mirror therapy for neurological disorders headed by Dr. Kim Bullock, a clinical associate professor of psychiatry and behavioral sciences at Stanford, is currently underway and is expected to conclude by the end of this year. 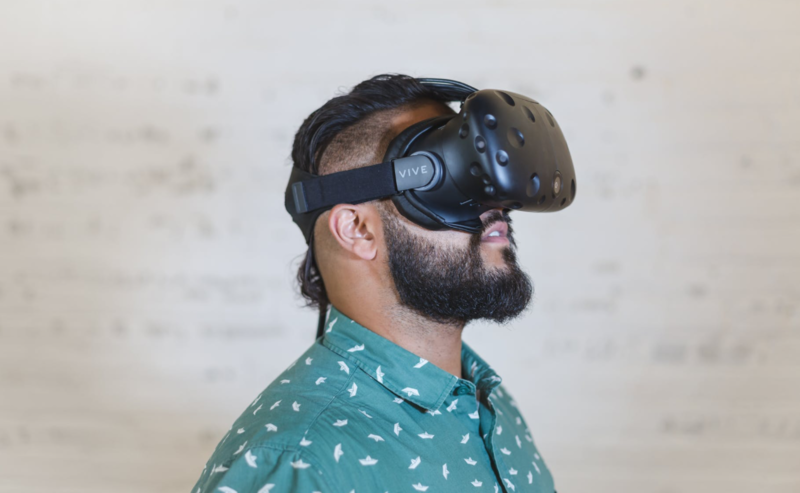 Another effort tackling stroke patients’ spatial neglect using a game-like training scenario for the HTC Vive headset was announced earlier this year by Kessler Foundation and Virtualware.